On 4 March 2010, the ceremonies of two relevant events for the ongoing process of euromediterranean integration and cooperation took place in few hours in Barcelona: the first Anna Lindh Euromediterranean Forum for the Dialogue between Cultures and the settlement of the headquarters of Secretary-General of the Union for the Mediterranean (UfM). 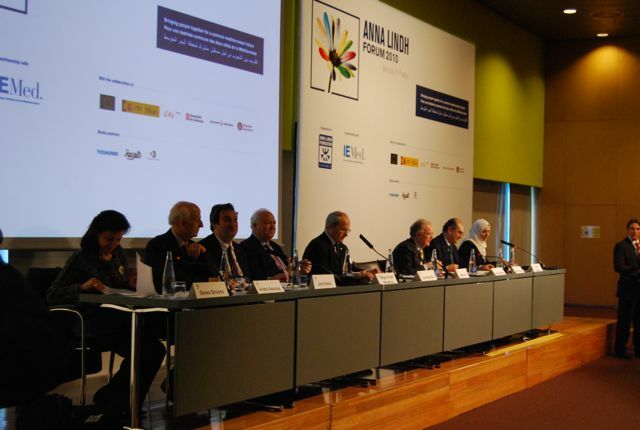 The Anna Lindh forum resulted in the first great forum of Mediterranean civil society organised in the framework of the UfM and saw the participation of more than 1000 representatives belonging to the national networks of the 43 UfM member-states. The forum has been launched by a conference with the participation of, amongst all, the Spanish Foreign Minister Miguel Moratinos, the President of Anna Lindh Foundation Andrè Azoulay, the European Commissioner for Enlargement and European Neighbourhood Policy, Štefan Füle, and Jorge Sampaio, High Representative of United Nations Alliance of Civilizations. The forum has been enlivened by workshops and initiatives promoted by its participants on the following themes: education and intercultural learning; artistic and cultural contributions; reconciliation and coexistence ; cities, migrations and diversity; interreligious dialogue and common values. The inaugurating ceremony of the headquarters of Secretariat of the Union for the Mediterranean took place at Palacio de Pedralbes in Barcelona. During the ceremony, attended by the 43 Ministers of Foreing Affairs of the UfM member-states, there was the presentation of the first ever Secretary-General of the Union for the Mediterranean, the Jordan Ahmed Jalaf Masade. Thanks to the establishment of the permanent Secretariat, the institutional structure of the Union for the Mediterranean can finally start its activities based on the decisions taken during the Paris summit of 15 July 2008.